These help pages apply to all versions of GCD 6. 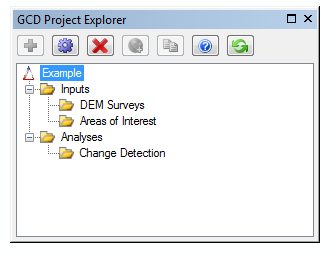 One of the most noticeable changes users from GCD 5 will notice in GCD 6 is the project explorer. The project explorer provides you with an easy to follow tree of all your project contents that is also reflected in the project directory structure and organization on your disc.